Making a success of community initiatives is not just about going it alone as a business but also about getting involved in projects led by others. Chief amongst those organisations concerned with community development is your local council, at any given time it will normally be running or planning several initiatives aimed at improving the local area. Participating in these can help to bring about improvements in your area which are good for your business, as well as raising your profile and reputation amongst people whose help you may need in the future. What's more, if you'd like to develop your own initiatives but are lacking in confidence or unsure of your skills, it's a great way to learn. Getting in touch with your local council is easy to do. You can look up their contact numbers in the Yellow Pages or visit their website to obtain details of their long term plans for business development. When you've found a strategy that's relevant to you, such as plans to redevelop the area where you're based or to focus on businesses of your type, you can make contact more directly to ask for advice about specific schemes within it that you may be eligible for. 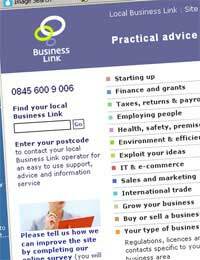 Alternatively you can ask your local business support service to keep you informed about council projects. It's also a good idea to read the local business newsletters that most local councils distribute. If you want your local council to give you preferential treatment when developing community initiatives, it's important to understand what they want from you. It's one thing to give them the finance and practical support they're looking for, but another to be media-friendly. Make sure you have all the important information they need to know about your business ready to supply to them in a handy press pack, complete with professional quality pictures of your premises and yourself. Make sure you can be ready at short notice for meetings, especially if there are going to be cameras there. Because council services are run by individuals, and because most management-level council jobs offer good promotional prospects, it's well worth making friends as you work within the council system. Small gestures like taking a packet of biscuits along to a meeting can quickly endear you to people. Take care to memorise names and to use them when greeting people. Be quick to congratulate them on promotions and interesting new projects. Above all, make sure you give useful feedback. This is what council planners want most when they design initiatives that will involve businesses, as they often have limited funds available to do research beforehand. Make sure you maintain a positive tone no matter what you have to say, but don't be afraid to give constructive criticism where appropriate. Most council initiatives are designed on the understanding that participating businesses will need some publicity as a result, but don't be afraid to say so if you think the project you're working on isn't doing enough for your profile (you can usually phrase this by saying that you think other business leaders involved are similarly concerned). Initiatives of this sort depend on partnership and it's the council's responsibility to keep up its end of the bargain. You can approach this positively by being ready to suggest simple, low cost solutions such as the addition of business' images to a press pack or the presence of business owners at a press conference. Working in partnership with your local council can be a great way to increase your business success. When you complete a project together, let the council know that you will happily make yourself available to discuss other prospective undertakings and to make them more appealing to businesses, so that everyone involved can benefit.